It is that time of the month when lovers across the world celebrate the Valentine’s Day. And Co-operative Bank has not been left behind. This year, the bank will be celebrating the journey it has taken with its customers and the growth that has been achieved. Indeed, over the past few years, the bank has set itself apart by launching numerous products that have not only grown its position but reflect in the financial growth of its customers. Some of these products have included the MCo-op Cash, the Co-op Kwa Jirani agency, and a set of loan products for both large and small consumers. This Thursday, these products will be open to all to ensure that you do not miss out on treating your loved one this Valentine’s Day. For instance, if you have planned to take your partner out for shopping or dinner on Tuesday, you will not have to carry liquid cash with you. Instead, you can opt for a safer way to pay and shop around at no extra cost by using the MCo-op Cash app. This app not only allows you to send or withdraw money, but also enables you to pay for goods and services, as well as purchase utilities such as airtime. In given instances, you may be falling short on cash, especially coming straight after the financially tumultuous January month. However, you don’t need to worry or break a sweat. 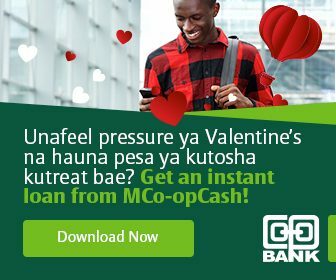 Co-operative Bank has got your back. On Valentine’s Day, you can take an advance salary that will not only see you enjoy your evening to the fullest but cushion you through the remaining half of this month. Currently, you can get a loan straight from your phone via the MCo-op Cash for as little as 1.16 per cent interest rate per month. 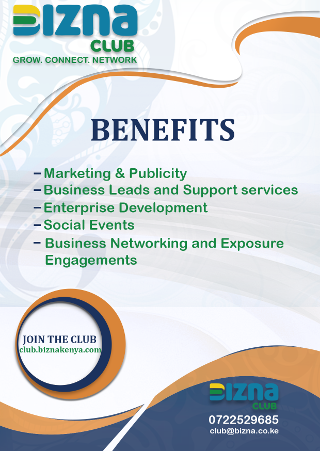 You will not be charged any hidden fees such as facilitation fees. You can also Download the mobile App and access Co-Op Bank Services like never before, Click Here to Download the App.